After years of waiting, Apple is finally giving us a new iPhone color option. The company today unveiled a special edition (PRODUCT)RED iPhone 7 and iPhone 7 Plus, which will be available to order at 8:01 a.m. Pacific on Friday, March 24. 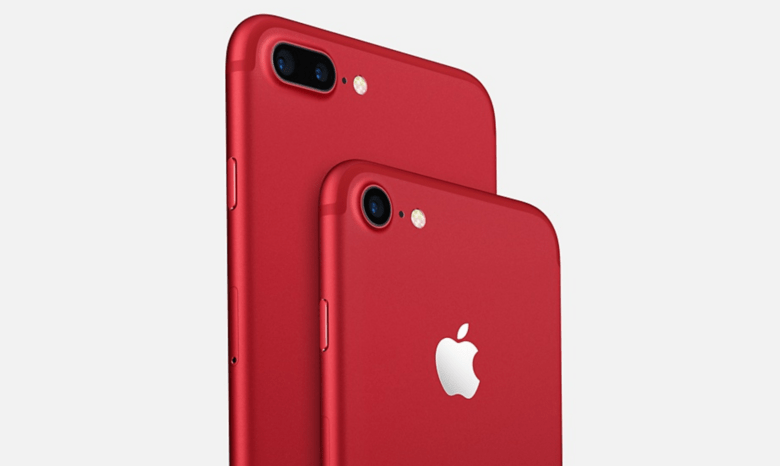 Apple has been offering (PRODUCT)RED iPhone cases for years, but this is the first time it has painted the iPhone itself red to support the Global Fund for HIV/AIDS programs. Every time a unit is purchased, a contribution is made. “The introduction of this special edition iPhone in a gorgeous red finish is our biggest (PRODUCT)RED offering to date in celebration of our partnership with (RED), and we can’t wait to get it into customers’ hands,” said Apple CEO Tim Cook. Aside from its striking red finish, the special edition iPhone 7 and iPhone 7 Plus are identical to the originals. You get 4.7- and 5.5-inch Retina displays respectively, Apple’s latest A10 Fusion processor, a 12-megapixel iSight camera, and IP67 water-resistance. They also cost exactly the same, however, there is no 32GB option. So, prices start at $749 for a 128GB iPhone 7, and $869 for a 128GB iPhone 7 Plus. Both handsets will be available to order at 8:01 a.m. Pacific (11:01 a.m. Eastern) on Friday.